An effective and smart office manager is capable of managing employees and coordinating tasks and other administrative duties with confidence and ease. By doing so, they are making sure that everyone is running smoothly and efficiently. A good office manager will make sure that everything is maintained and organized which ensures that they are keeping everything under control. By developing your own organizational system and using resources and tools, you can help improve the office workflow and get more accomplished. A stellar office manager will also spend time with the employees and be up to date on all the specific details they may need to know. Keeping track of birthdays and other small information like this will show that you care about the employees you oversee and will make you stand out from the rest. Efficiency is a key attribute you must have as a successful office manager. Make it look easy and uncomplicated to run the operation, show that you can do it almost effortlessly, and find new ways to be resourceful and savvy and you are well on your way to standing up and promoting yourself as credible, reliable, and experienced. Office managers should take every opportunity to learn something new or update old information they may have to make sure they are doing everything they possibly can to ensure that operations are running smoothly. Develop knowledge about the industry you are in and continue to build on that knowledge. Finally, to stand out as an office manager, it is important that you take the time to cultivate culture in the workplace. Make sure that the satisfaction level of the employees is high, ensure that engagement is always on the rise, and provide different opportunities to praise them for a job well done and use their strengths in their favor. Standing out as an office manager is as easy as knowing how to efficiently run the office while setting aside the time to get to know the employees. Provide positive and constructive feedback and reward and praise them when they are successful. If you are someone that loves to stay on top of organization and loves to hear about things that may impact the way things are done in the workplace, then you might find the newest workplace trends for 2018 interesting. Currently, the economy is beginning to boom, and with this rise, we see a rise and impact on the way executives, managers, and other employees are handling certain office resources. 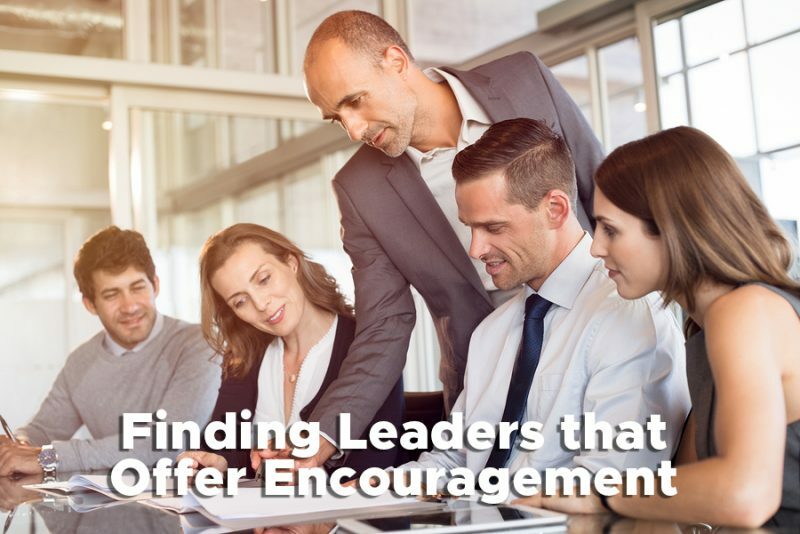 Among the top workplace trends in 2018, we see the rise of leaders that choose to offer encouragement. By doing so, they are positively and effectively improving interpersonal relationships within the workplace, improving communication, and fostering idea sharing and a higher level of collaboration among employees. With new waves of employees and booming industries, we are finding that more and more companies are having their managers instill more training and more companies are offering certifications and credentials to new and existing employees. This allows for a more diverse workplace and makes sure that the people with the skills needed are being utilized properly. Additionally, offering more in the way of training and development for current employees can help save a company money, and they will have the right people in the right positions to help the company grow. Additionally, we may also see a rise in the improvement of tools and technology that can be used in the workplace. From new devices and services, we are finding new and improved ways of reaching customers, improving communication amongst employees, and finding better ways to organize certain management tasks within the workplace. For example, virtual assistants that can assist with day to day tasks. Finally, we will see an improvement in the way certain issues are handled within the workplace. Through additional training programs and the implementation of zero-tolerance policies, we are creating a trend that is positively slated in the right direction and in a direction that fosters improved communication and better relationships within the workplace environment. As we propel forward into 2018, as office managers we need to focus more on the human side of leadership and find new and innovative ways to communicate with our team and improve not only productivity in the workplace but also employee morale. 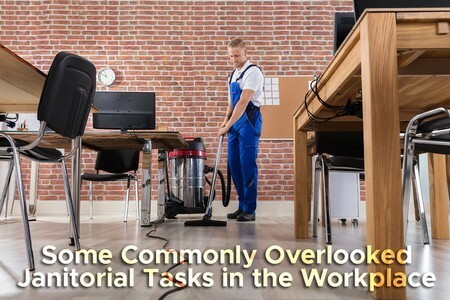 When it comes to maintaining a clean and orderly office and workplace, some tasks may easily be overlooked because of the day to day hustle and bustle and all the other tasks that may have been prioritized. 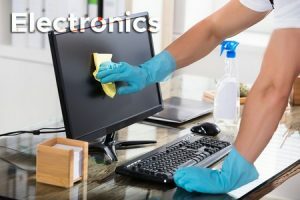 Yes, cleaning and organizing is most often seen as a chore and is pushed to the side, but it is important that even the smallest tasks are done to ensure efficiency and even safety within the workplace. Many times, when we are cleaning, it is easy to overlook the higher places in the office that may be out of our line of vision. Perhaps the top of shelves or desks, doorframes, or even dust collecting on light fixtures. However, when these things are overlooked, and the dust begins to cake up, it can potentially affect other aspects of the environment. Too much dust in the air will negatively affect the air quality of the office and dust collecting on light fixtures can seriously diminish the adequate lighting you would otherwise have to work with. In the same respect, we may also miss areas in the workplace that are down low or require us to get down or bend. Underneath appliances in common areas like the break room or other areas of the floor may be overlooked and when this happens, it may cause a safety hazard. For example, a dirty or slippery floor can cause a slip and fall accident. The janitorial closet may also be a frequently passed up and overlooked area in the office. It is important to make sure that you have access to cleaning essentials just in case a situation should arise. You should also make sure that the cleaning supplies are clean and organized. Many office environments utilize a number of different electronic equipment. From phones and copiers to computers, tablets, and printers and so much more. How often do you think these items are wiped down and cleaned? When this is overlooked, germs can spread through an enclosed space like wildfire. The same goes for doorknobs and light switches. While they may not seem important, it is essential that these get wiped down and sanitized to help prevent the spread of illness throughout the workplace. If you find that you just don’t have the time to adequately clean and maintain the office, then it may be time to look into possibly outsourcing this task so that you can focus more on your day to day tasks and less on cleaning. 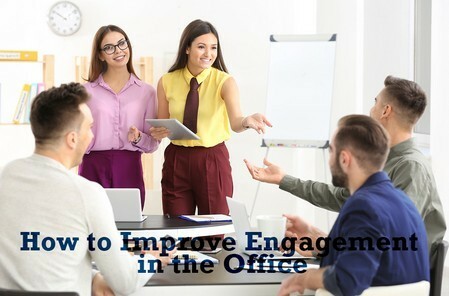 If you are looking for new ways to improve engagement in the office, but are unsure of where to start, then you have come to the right place. As an office manager, you are probably already well aware of the obstacles you face when it comes to communicating with employees and making sure everyone is doing what they are supposed to be doing. So, what can you do as a leader to help increase employee engagement in the office? If no one in the workplace is given the proper tools they need to do their jobs; then, of course, you are going to see higher instances of failure, rather than success. If you want to make sure that things are getting done, make sure that everyone has everything they need. For example, does everyone that need them have access to the passwords or other credentials they may need for programs? 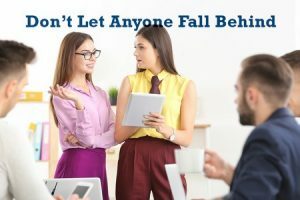 When you are in charge of overseeing a sizable number of people each day, it may be easy to let a few fall through the cracks. As an office manager, you want to strive to make sure that everyone gets the individual attention they will need to be successful. This will not only boost productivity and harbor improved communication, but it will also boost engagement and encourage idea sharing and collaboration. Being able to stop and listen to employees is also another way to improve engagement because they will be more willing to go to someone that will take the time to hear them out. It will also go further to show that what they say matters. 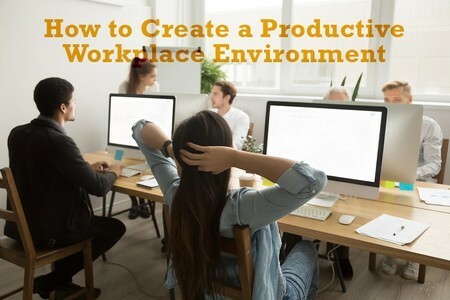 By doing so, you are creating an engaging environment that encourages this type of positive communication, and this will ensure that things will begin to run a bit more smoothly for everyone. The more engaged everyone feels in the workplace, the more success you will find at the end of the day. If the employees do not care enough about what they do and are not willing to grow, it creates a hostile and negative environment that is not good for business and will eventually lead to the demise and disorganization of the workplace. Issues that at one time could have been avoided will now become prevalent and threaten to tarnish all the work you had been doing up until this point. 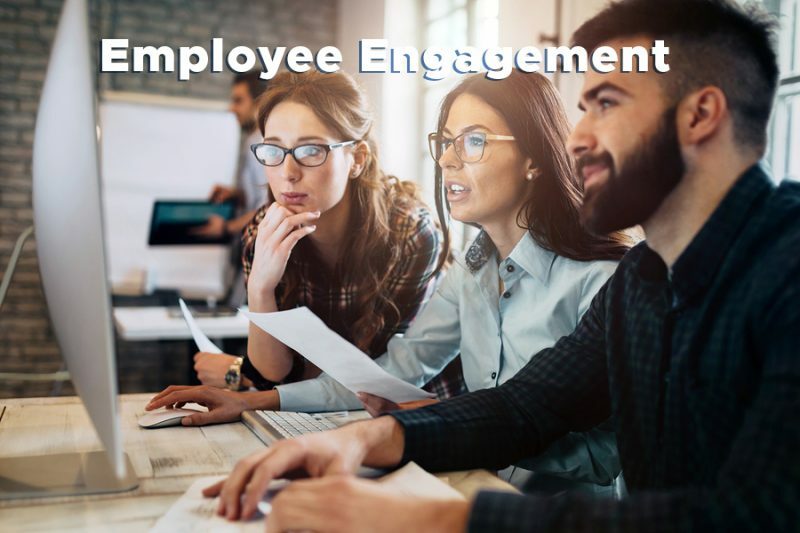 Employee engagement is your key to a successful business and a smooth-running day to day operation. In the recent years, Green Cleaning is a sort of trend which is on the rise especially in our workplaces, public places and institutions. But, have you ever noticed why Eco-Friendly Office Cleaning is becoming so much popular day by day? What is the actual meaning of making it sure that all of the cleaning methods and products are “Green”? Green Cleaning basically involves a total combination of cleaning equipments, methods, policies and products which are completely designed keeping one major objective in mind which is maximizing efficient cleaning outputs while reducing all types of negative effects on our health along with the environment. If you are the owner of a business, then it is your sole responsibility to take care about the health and hygiene of your employees and office environment. The traditional cleaning methods and products affect our health negatively because of the use of harmful chemicals in it. However, green cleaning methods use very less amount of chemicals. There are also restrictions in using the chemicals which are harmful in use for cleaning purpose. It is a well known fact that for good health, the indoor air quality plays a great role. At the same time, it also creates impacts on the energy and productivity of the employees. The traditional cleaning products and methods release the harmful VOCs which means Volatile Organic Compounds that have both long and short term negative health effects. On the other hand, green cleaning products do not release such kind of harmful VOCs that might affect the health of your employees. You have got a very clear idea about the advantages of using Eco-Friendly Office Cleaning methods and products. The choice is up to you now!